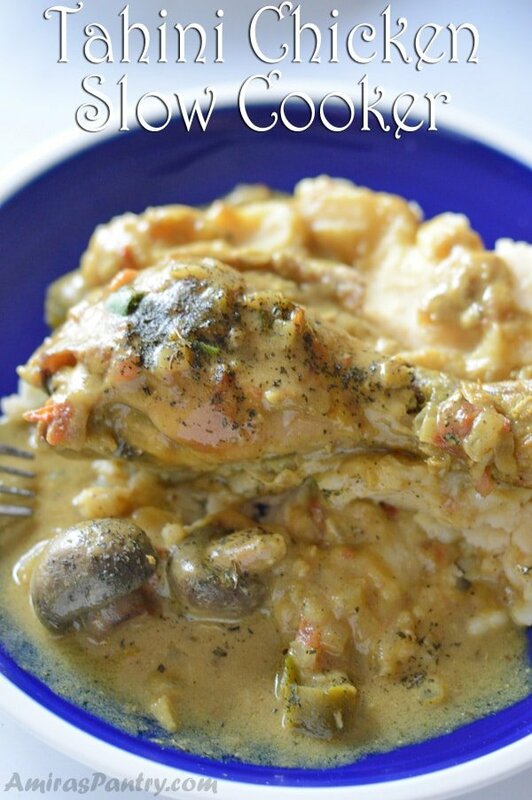 Tender, fall apart chicken swimming in a poodle of tahini sauce. Creamy, delicious and so simple. 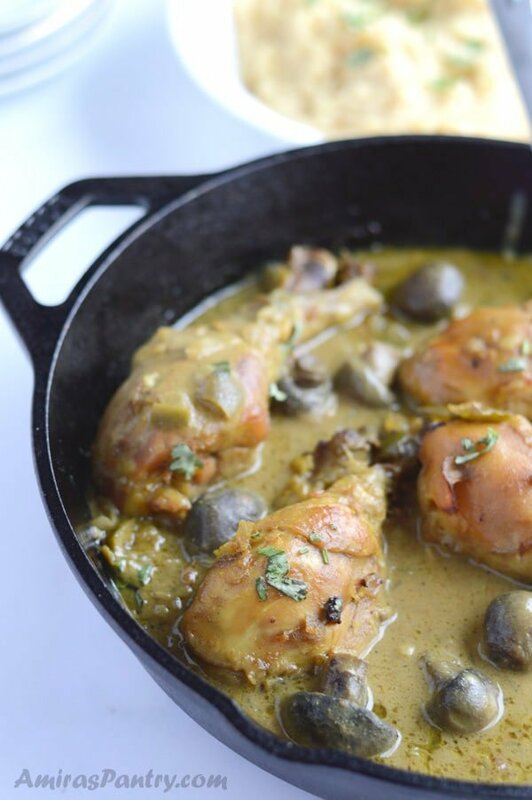 A Middle Eastern chicken recipe for serious eaters. Do you think Tahini gets nervous around me? Since my tahini sauce recipe got many of you trying and liking it, I’ve got into a tahini obsession syndrome. From there, I haven’t stopped harassing it. It made the most amazing sauce for my grilled chicken salad then adding it for roasted aubergine salad, making baba ghanoush, going forward to Halva or halawa ending up in making the tahini paste itself. If you ever wondered what to do with tahini? or if you ever wanted to venture in cooking with tahini, you’ve come to the right place my friend. This ground sesame seeds paste is recently having a moment in the food world. The good news is, you do not have to go to a Middle Eastern market to get it. In fact, I’ve seen it in all the major stores around here. The bad news is : my kids STILL do not like tahini or hummus!  How devastating is this for a mom from the Middle East. This idea originated as a simple way to trick my kiddos to accept the tahini taste, they actually ate the chicken and I have also shredded the chicken and made delicious wraps for them … still no tahini sauce included. They have liked the chicken as it was very tender and fall apart kind of chicken but they did not touch the sauce because: a) it had tahini b) it had mushrooms . 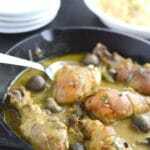 I am still trying to make them like tahini taste, even my saucier does not like it :(, he only ate Halawa and that’s it. What really makes me sad, is that it is a thing I’ve liked since I started crawling!!. Anyways I think I will need more tahini seducing recipes to lure them, so expect a tahini-palooza coming up your way. Let’s get working on this recipe. 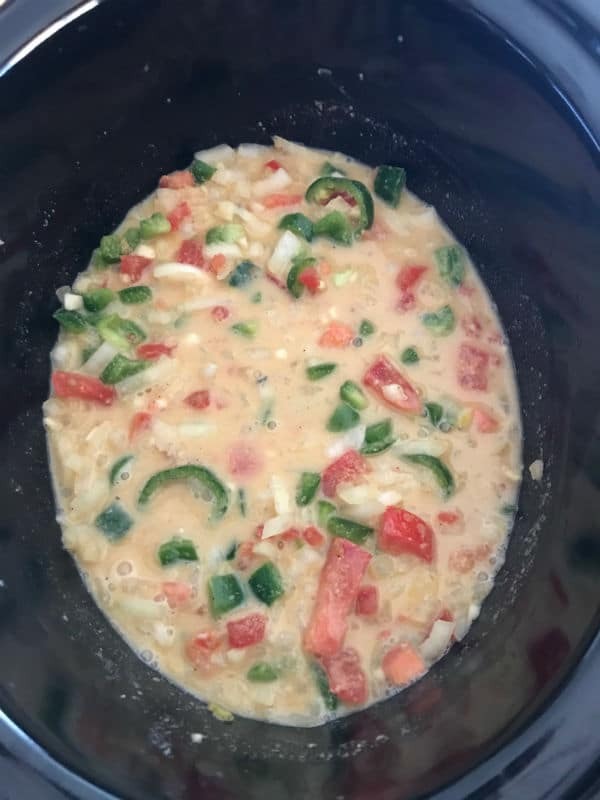 I loaded my sauce with onions, garlic, bell peppers and tomatoes. The sauce was creamy with chunks of these delicious veggies floating. If you want a less chunky sauce reduce the veggies or increase them if you would like to. There is no right or wrong here, you are the boss here. Just make sure to add the onions and garlic, they are very important. Add spices and mix everything well. Although tahini is everywhere, I advise you to make a trip to the Middle Eastern grocery, you’ll find a variety of tahini brands to choose from, read labels and compare. Now add the stock and mix everything well together. 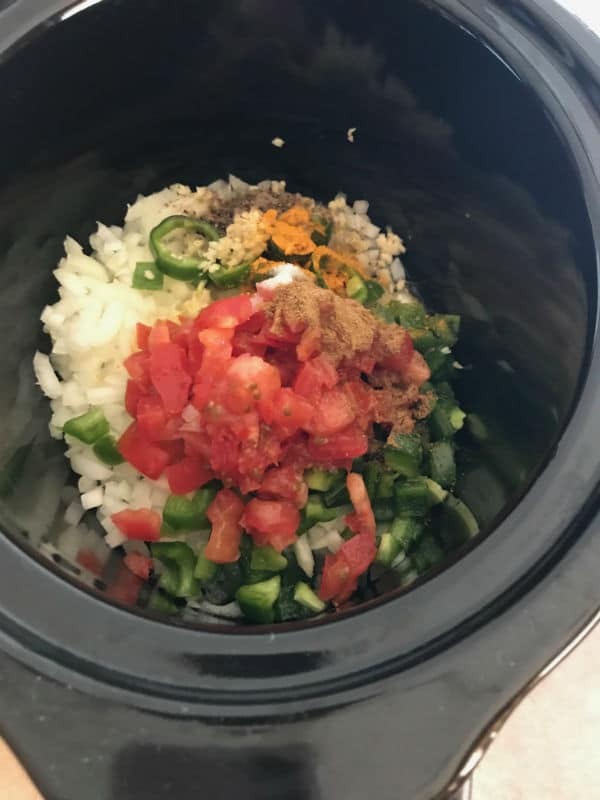 If you are new to using tahini, it will be easier for you to dissolve tahini in a separate bowl with some of the stock then add to the rest of the ingredients in your crock-pot. 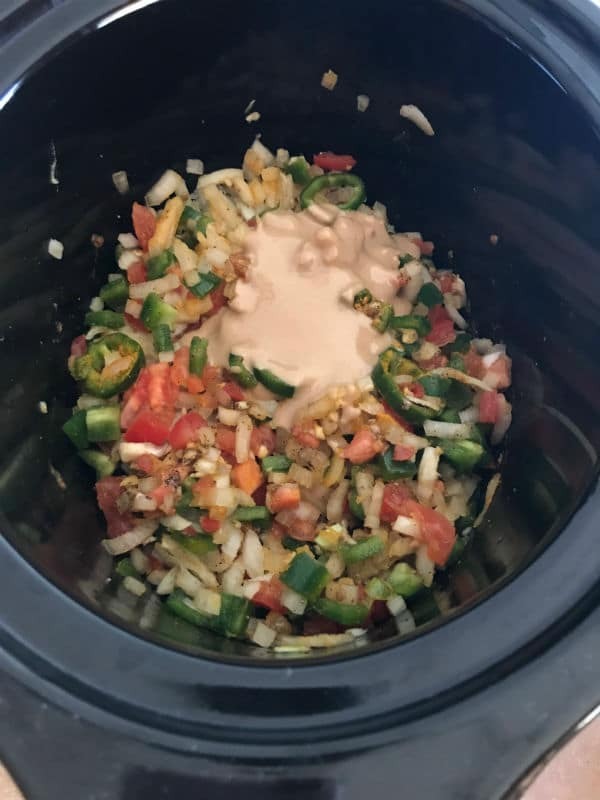 Because I am familiar to tahini usage, I did not mind doing it all in the crock-pot, for a beginner this might be inconvenient. Now add the chicken and toss them well to cover with the sauce. Add the mushrooms, whole or sliced, set and forget. After this has finished cooking and before serving it, I’ve popped them in the oven for about 15 minutes. 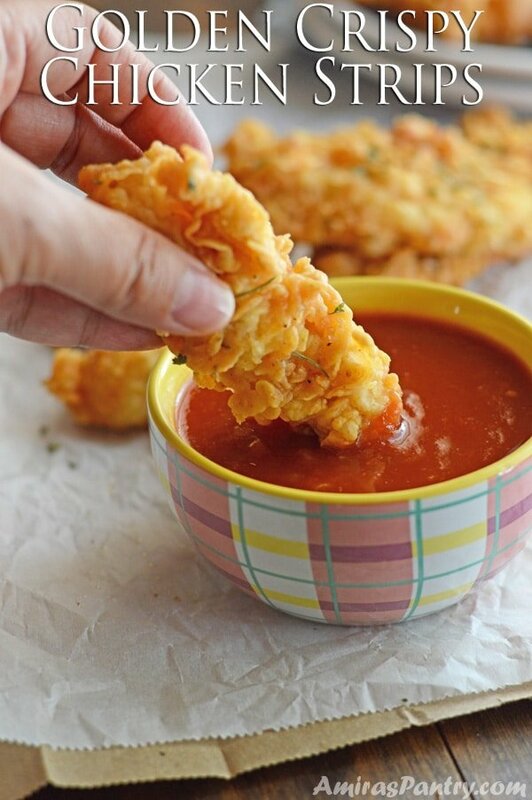 I did that to get a thicker sauce and crispier skin for me and my husband. 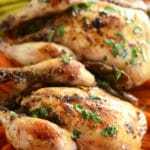 My kids enjoyed the chicken so much as it was super tender, they do not like to chew on hard or dry meat. You might as well get amazed to know that my kids do not like their bacon crispy!! Especially my little guy, he liked it so much…. minus the sauce of course :). I served this with mashed potatoes and couscous. 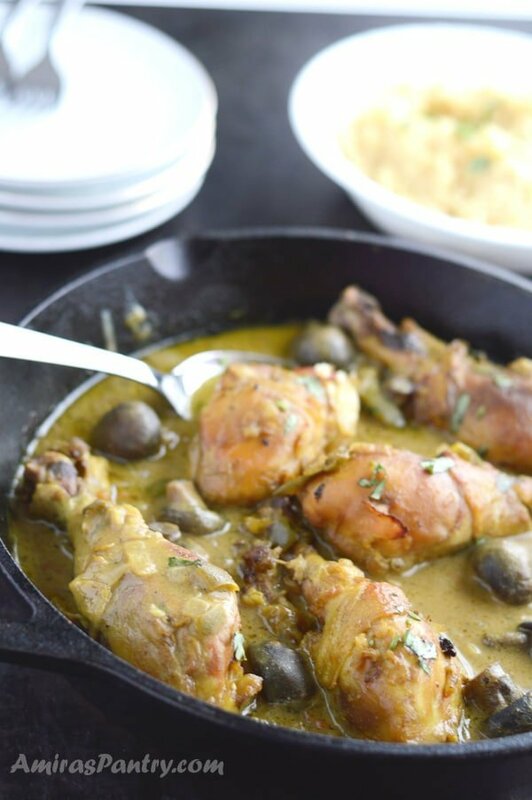 Drumsticks swimming in a poodle of tahini sauce. 1/2 cup diced green bell pepper. 2 teaspoons salt or to taste. 1/3 cup raw tahini paste recipe here https://amiraspantry.com/tahini-authentic-middle-eastern/. 1 1/2 cup chicken stock / water. 1 cup mushrooms diced or whole. 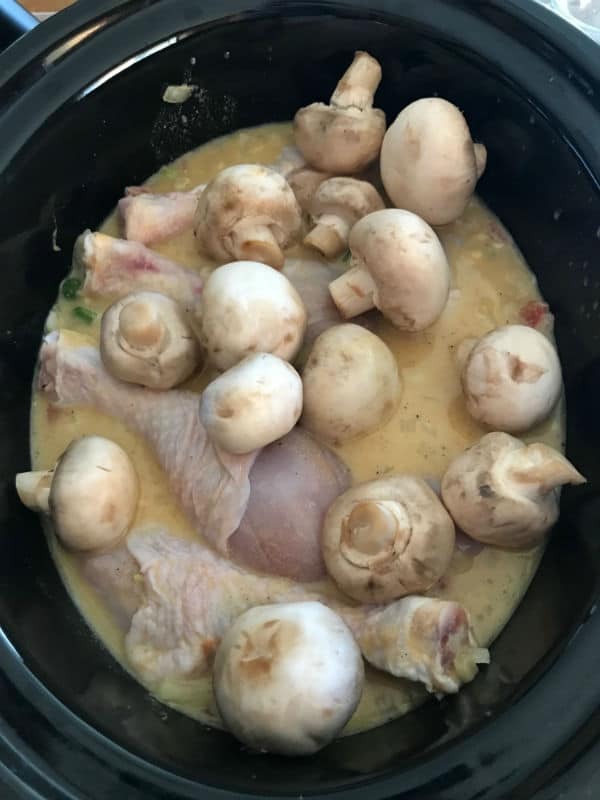 Combine all the ingredients , except for the chicken and the mushrooms, in the crockpot and mix very well. Add the drumsticks trying to turn them all to be covered with the sauce. Add the mushrooms, cover and set on hight for 4 hours. After the 4 hours, the sauce will be watery and delicious. If you want a crispier chicken with a more thick sauce, transfer the chicken and sauce to a pan and pop in 1 350F oven for 15 minutes. Enjoy with mashed potato and couscous. Hahahaha, Sommer it is ok even if it is not your favorite :). I am honored than you even try one recipe and like it…. this makes my day really. 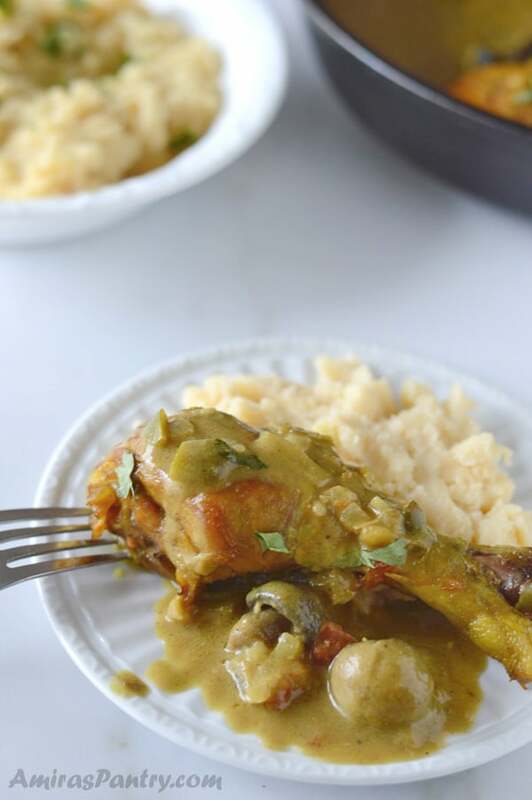 I just made your tahini chicken recipe lastnight (adapted to my instant pot)and it was very good! My Egyptian husband and 2 of our 3 kids liked it a lot. (I have a picky middle child who doesn’t like to eat meat..lol) A great, easy meal for these cold winter nights. 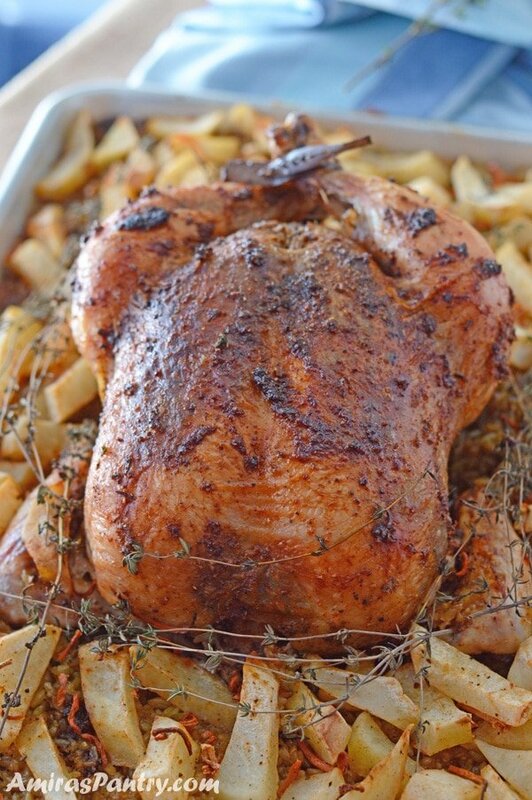 Lori, Thank you so much for trying this recipe and for your feedback. I am glad you liked it. Ya, kids!! each of my three kids has his own taste , likes and dislikes!! it is really hard to accommodate all of them at once :). I love every dish that uses tahini — can’t wait to try this one! Shukran, Amira! If you find yourself in/near Philadelphia, definitely try the Chocolate Tahini Milkshake at Goldie (http://www.phillymag.com/foobooz/2017/04/28/tehina-milkshakes-goldie/). 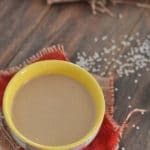 Any opinion on Soom Food’s chocolate tahini (it can be purchased on Amazon)? Saimah, thanks for introducing me to something new, I will definitely look for it. May be we can come up with a homemade version but I have to taste the original one before attempting mine :). I’ve looked Soom up in Amazon and actually found it there. Here is a link to the chocolate tahini on amazon (affiliate). 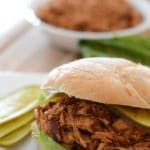 Slow cooker recipes rock! And this one is definitely a headliner. Wow, this looks terrific — really creative. Thanks! Thanks John for your sweet words.. appreciate it. And I just broke out the slow cooker this past weekend for the cooler season. So will make this sounds amazing, I ma a fan of tahini for sure! The boys will grow into the taste for sure in time 🙂 Big hug to you my friend! Eve, So glad to see you here my friend. Missed you a lot and hoping you’ll get back on track soon.